The mission of our programs is to increase diversity in the first responder profession by instructing inner-city youth in the EMT and Fire curriculum. Our goal is to create civic-minded EMTs and firefighters who are willing to apply their newly learned skills to community based programs as well as in local EMS and fire agencies. BAY EMT is able to offer these programs through a collaborative effort with Merritt Community College. The instruction is designed with an emphasis on improving study habits, test taking abilities and community awareness. The curriculum is expanded to include basic information on U.S. history, politics, government and current events. All students are required to participate in volunteer events that are scheduled by the program. BAY EMT partners with local non-profits, churches, and community organizations to provide these volunteer opportunities. 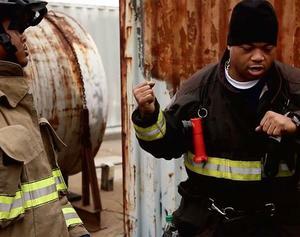 BAY EMT utilizes a targeted recruitment strategy to ensure that all selected students reflect our programs objectives. The 18 to 24 age range is optimal, however students outside this range are also accepted into our programs. The BAY EMT Program admits students of any race, national origin and ethnic origin to all rights, privileges, programs and activities made available to students of the program. It does not discriminate on the basis of race, color, national origin or ethnic origin in administration of its educational policies, admission policies or scholarships. "Looking back I'd have to say that the relationships and exposure that the program gave me (as well as a sense of discipline) were the things I liked most. 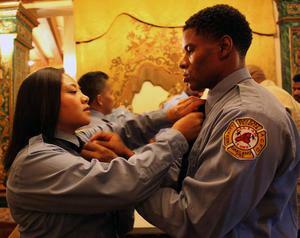 The curriculum was great without saying, but ANY program can give you book smarts, BAY EMT went beyond that." 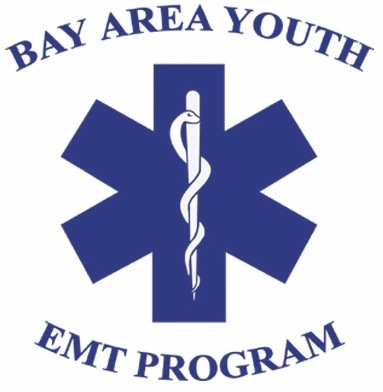 The BAY EMT Program was created in 2002 in Oakland, California. 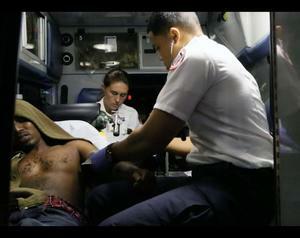 The program was originally designed to teach the EMT curriculum to Oakland high school students. Our current recruitment efforts have expanded to include young adults from the inner-cities of all neighboring bay area communities. BAY EMT is a community organization designed to provide scholarships and career development to students who are accepted into our programs. The concept for BAY EMT was envisioned while the two founders were attending the Carl Holmes Executive Development Institute (EDI), a chief officer training program for firefighters. The idea sprang to life after attending a lecture on community based education. Planning for the program was formulated while in attendance at EDI and first BAY EMT session was held 6 months later. The current BAY EMT staff consists of four EDI graduates. "All that I am I owe...I live eternally in the red."